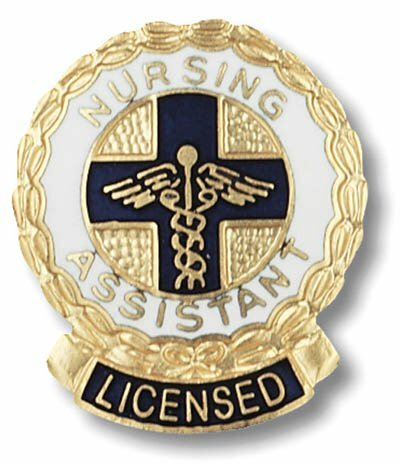 Nursing Assistant Emblem Pin 1" Diameter a goldtone filigree background with a white border with the words "NURSING ASSISTANT"in gold. 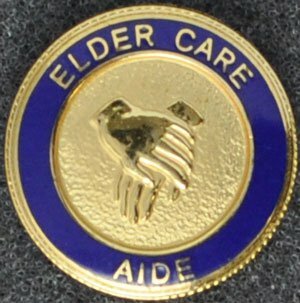 The caduceus (Pronounced as "ca-DUCE-us")is on a navy blue cross. 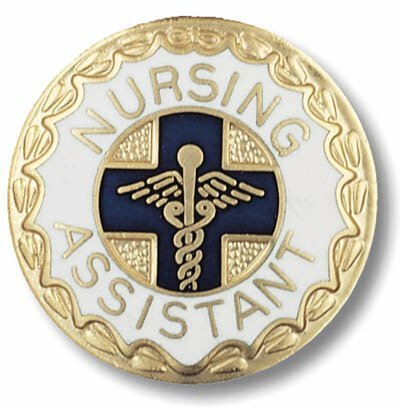 Excellent for your pinning Nursing Assistant or CNA ceremony The pin features a sturdy "Safety Pin Style" Clasp. 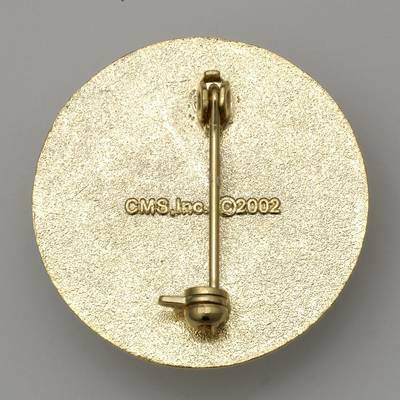 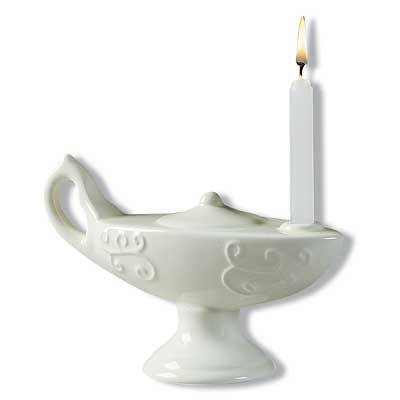 The face has a sculptured edge with goldtone ribbons on a white background.